I have been a client of A.P.A.W. for six years. Over the years, I have seen A.P.A.W. continuously evolve in their practices, being current on the latest treatment protocols. During times when I have needed them in emergency situations, they have always managed to fit Starr in and provide the best medical care and at the same time, make me feel comfortable by providing all the necessary information needed for treatment and after care. Starr has had her share of illnesses and without A.P.A.W. being pro-active in running tests and suggesting specialists, she would not be doing as well as she is today. A.P.A.W. is competitively priced with other practices in the Prince George’s County area. The doctors, vet techs, vet assistants, and front desk personnel have always been professional and treated me with the utmost respect. The A.P.A.W. staff is very caring, compassionate, and always go above and beyond. I feel very lucky to have such a caring and dedicated staff looking after Starr. Thank you A.P.A.W. for loving Starr as much as I do! We have been bringing our dog Abby to APAW for almost seven years for veterinary care and boarding. We love it. She is always well taken care-of and the staff is wonderful. 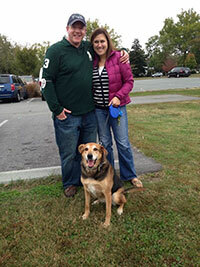 Over the course of the years, Abby has been seen by a number of the veterinarians, including Dr. Boyce. 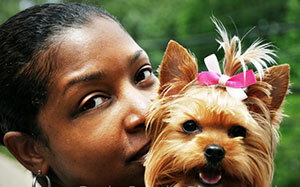 All of the veterinarians have taken outstanding care of Abby, and they are very knowledgeable and thorough. When Abby was very sick a couple of years ago and was not eating, the vet techs literally laid down on the floor with her to entice her to eat something. With their great care, Abby pulled through. Sometimes, because of travel and work commitments we’ve had to leave Abby at APAW to board for two weeks or so, whenever we have done this we have always come back to a healthy and happy dog who clearly enjoyed her stay. Without reservation I endorse APAW and would recommend it to anyone. "For 12 years I've brought my Richie Rich to this facility. They are absolutely wonderful. Highly recommend Dr Boyce. They are the best !!!!!" "I have been going to this facility for many years. Very helpful and knowledgeable and friendly. Angel and Banjo go at least every other month for the "spa" treatment bath and pampering. They offer a wellness program and it is great has saved money over the years. Great employees and caring too!!!!!!!!!!" "We Love APAW...the only place I will take my pups. Thank you Dr Johnson and the staff for all you do. ONYX thanks you too. Without all you have done, she would not be standing next me now."